The cornerstone of the Concord Collection is quality, and this incandescent pendant is no exception. Combining a classic dark granite finish and posh styling, you will find no better way to highlight the charm of your home. With the superb craftsmanship and affordable price this fixture is sure to tastefully indulge your extravagant side. The cornerstone of the Burton Collection is quality, and this incandescent pendant is no exception. Combining a classic antique bronze finish and posh styling, you will find no better way to highlight the charm of your home. With the superb craftsmanship and affordable price this fixture is sure to tastefully indulge your extravagant side. 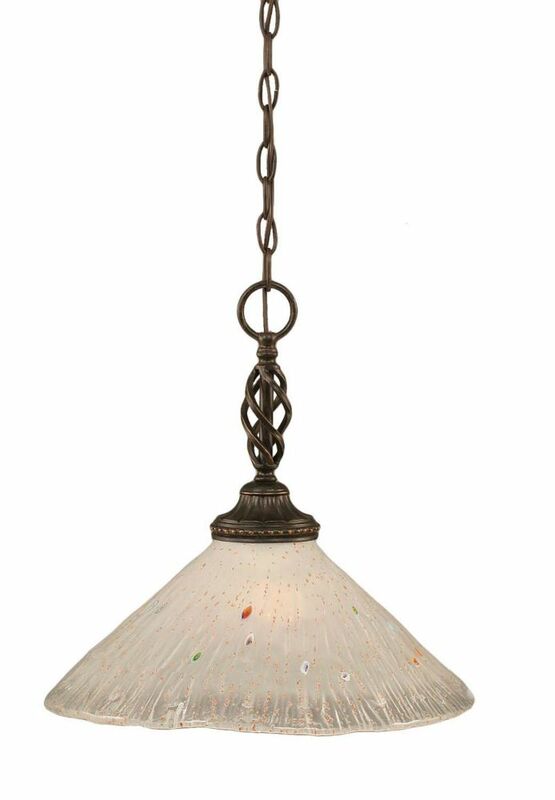 The cornerstone of the Concord Collection is quality, and this incandescent pendant is no exception. Combining a classic brushed nickel finish and posh styling, you will find no better way to highlight the charm of your home. With the superb craftsmanship and affordable price this fixture is sure to tastefully indulge your extravagant side. Concord 1 Light Ceiling Dark Granite Incandescent Pendant with a Frosted Crystal Glass The cornerstone of the Concord Collection is quality, and this incandescent pendant is no exception. Combining a classic dark granite finish and posh styling, you will find no better way to highlight the charm of your home. With the superb craftsmanship and affordable price this fixture is sure to tastefully indulge your extravagant side. Concord 1 Light Ceiling Dark Granite Incandescent Pendant with a Frosted Crystal Glass is rated 5.0 out of 5 by 1. Rated 5 out of 5 by Daisy from Artistic glass light This light is very pretty and looks just like the picture. The edge is clear glass, but the rest is frosted underneath. The chain links were a little tough to open to shorten the length to fit over our kitchen table. The glass has nice detail with gold flecks and colored spots that is artistic and also reasonably priced. It works with a dimmer, but is bright at full strength.